Curtiss-Wright’s Industrial division has today announced the publication of a brochure – available in both English and Chinese languages – that introduces a wide range of products designed specifically for the mobile elevating work platform sector. The brochure features a representative selection from Curtiss-Wright’s portfolio of robust, MEWP-targeted products – including joysticks, sensors, motor controllers and Human Machine Interface Controls – which are cost-effective and benefit from high-volume economies of scale, aiding both supplier and customer alike. The range also extends beyond simple component supply to address the full electrical system requirements of mobile elevating work platforms. The company – including its Penny & Giles and PG Drives Technology brands – has established a leading position in the aerial work platform (AWP) market thanks to its highly-responsive commitment to specific customer requirements. Curtiss-Wright’s diverse application knowledge base covers a wide range of machines including vertical mast, indoor/outdoor scissor lifts and both articulating and telescopic booms. Typical MEWP installations include tilt sensors for monitoring chassis inclination, boom and scissor angle; rotary position sensors for indicating steering position and scissor height; joysticks for controlling drive, steering and platform lift/lower; pressure sensors for indicating hydraulic system pressure; motor controllers for traction drive and lift control; and human-machine interface solutions for operator consoles. 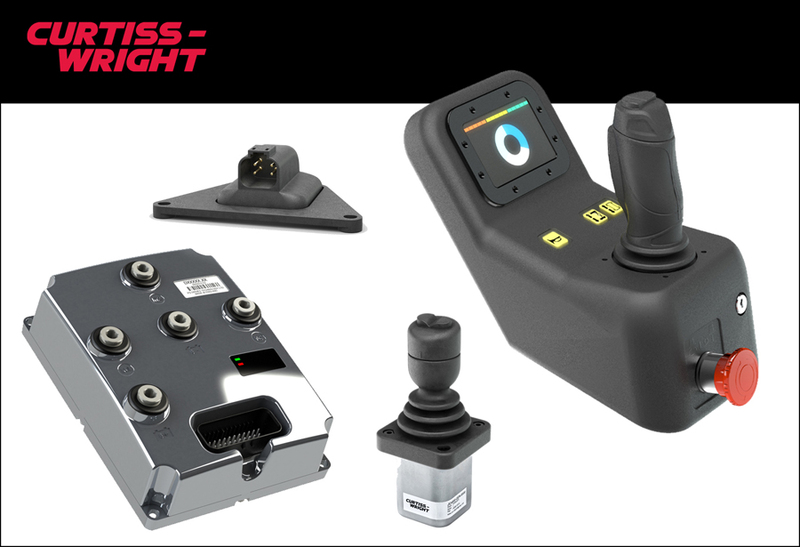 With changing safety legislation in North America, the ANSI standards will incorporate mandatory platform load sensing as a safety feature, meaning that Curtiss-Wright products are ideally suited to comply with these standards through their understanding and compliance with the European EN ISO 13849 standard.